We believe that fair play must not end at the lines of the pitch. Usability and design of our products are our priority number one but we are also future-oriented and are aware of our responsibilty as a company. Many claim to act fair. 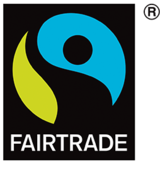 Working together with Fair Trade since our very beginning we can guarantee fair working conditions. The Fair Trade concept is pretty simple: Assuring an appropriate salary and humane working conditions. Worker’s children can be educated instead of being forced to follow in the footsteps of their parents at a young age. In addition there is an extra premium that is used to improve worker’s living conditions. Within the last years Rasenreich contributed to medical care, water-treatment units, transportation services and more. Fair Trade assures the socially sustainable production that, in our opinion, should be self-evident.